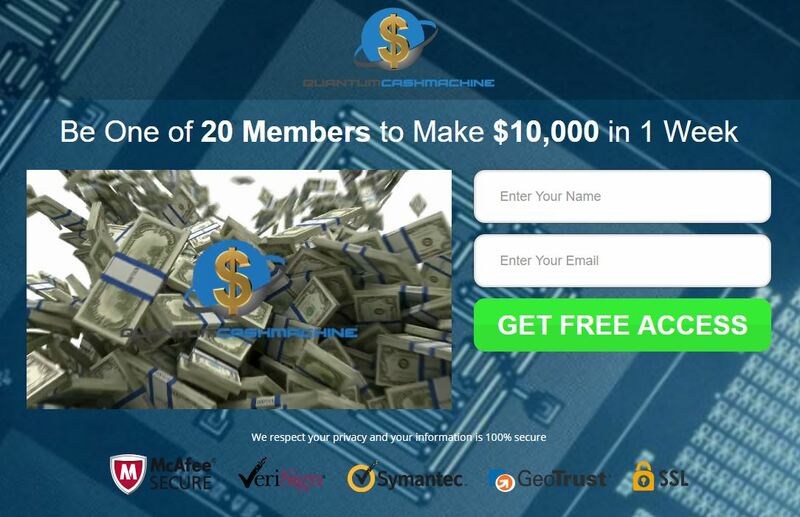 Barnes claims that his team at QuantumCashMachine put together a binary options trading software that can make you $12,000 per week. And because money is free nowadays (right? ), you can get Quantum Cash Machine for free and get rich for free. That’s it. Quantum Cash Machine is of course a scam that will rip you off. In fact it is really comical. Barnes shows you the Metatrader Forex trading software with some basic templates and claims that it his super system for trading binary options. But let’s provide some more tangible proofs. Barnes is a scam artist. We don’t know what his real name his, but we know for sure that he is a scammer. A scam wouldn’t be complete without fake testimonials and reviews. So Quantum Cash Machines offers you fake testimonials with paid actors, you can see them in the video. And on the website you can see some fake testimonials with stock photos. Look at the picture to see a proof. And finally the QuantumCashMachine in action. We have tested the software that you are supposed to let trade binary options for you. It would be a very bad idea! Because what we found is a very well-known scam software used by scammers only. Look at the picture, you will see some examples of other scams using this same app, likee Snapcash Binary or Orion Code. This software loses money in real trading, we have a lot of feedback about it from real users. Now let us explain the real purpose of Quantum Cash Machine. People who created are affiliated with a certain broker and this broker is paying them for referring new depositing clients. This is why they made up their story about a profitable software, they need you to send money to their broker, this how they earn money. And it doesn’t matter to them that their software will then lose your deposit. Quantum Cash Machine is a dirty scam that abuses binary options. You won’t be allowed to use the software until you deposit money with a broker that you won’t be allowed to choose. Then the app will lose your money. If you want to see how money can be really made in trading, try a free demo account. There you will see how binary options work and what you have to learn in order to succeed. Free robots promising you profits are scams.